Freedom Project offers courses in Nonviolent Communication (NVC), as defined by Dr. Marshall Rosenberg and as copyrighted and taught by The Center of Nonviolent Communication (CNVC). Freedom Project utilizes Nonviolent Communication: A Language of Life (by Marshall Rosenberg), Nonviolent Communication Companion Workbook (by Lucy Leu), and Nonviolent Communication Toolkit for Facilitators (by Raj Gill, Lucy Leu, and Judi Morin) as the core material to introduce and integrate NVC at various levels of practice. Our program is both compatible with and transferable to other NVC programs. See CNVC.org for more information. Nonviolent Communication (NVC) is a philosophy and process of communication developed by Dr. Marshall Rosenberg in the 1960’s. It is based in the idea of compassion and connection with one’s self and with others. NVC has three basic components: Self-Empathy, Empathic Listening, and Honest Expression. NVC is a practical, learnable process that helps people connect more deeply with themselves and others, based on universal human values. It promotes congruency with one’s values in thought, speech and action. The purpose of NVC is to create the quality of connection where everyone’s needs are equally valued. It provides strategies to meet needs, which contribute to connection, harmony and peace. • Strengthens our ability to inspire compassion and teamwork from others. It guides us to re-frame communication, work for the peaceful resolution of conflict with integrity, and improve how we express ourselves. For more information on Freedom Project’s impact through NVC and mindfulness programs, check out this study: Suarez, Alejandra, et al. “Freedom Project Nonviolent Communication and Mindfulness Training in Prison.” SAGE Open 4.1 (2014): 2158244013516154, available online here. 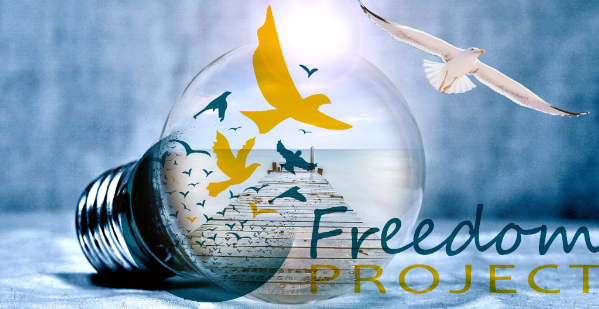 For information on Freedom Project’s programs visit our Prison Programs page.